Welcome to the July edition of the StoryToys newsletter. This month we’ve added a brand new feature to our apps giving you even more from your StoryToys collection. Each of our storybook apps will include free Jigsaw Puzzle and 3D Sticker Book packs. The 3D Sticker Book allows young readers to create their own 3D scenes using characters, scenery and props from the book. Pressing the play button makes the scenes come alive with movement and sound. The free Jigsaw Puzzle books are also based on scenes from the story, and offer a wide range of puzzles suitable for readers of all ages. The packs contain lots of content for free, and additional stickers, scenes and puzzles are available with a low cost in-app purchase. There are twelve Jigsaw puzzles to collect and five sticker collections to choose from including characters, animals, scenery, objects and letters and numerals. To get the free Jigsaw and 3D Sticker Book packs for the apps you have already purchased, simply update your apps. Our other piece of big news this week is the release of our latest interactive book, Thumbelina. This is a unique adaptation of the Hans Christian Andersen classic with a sprinkling of StoryToys’ magic. It tells the tale of teeny tiny Thumbelina who has some awfully big adventures. 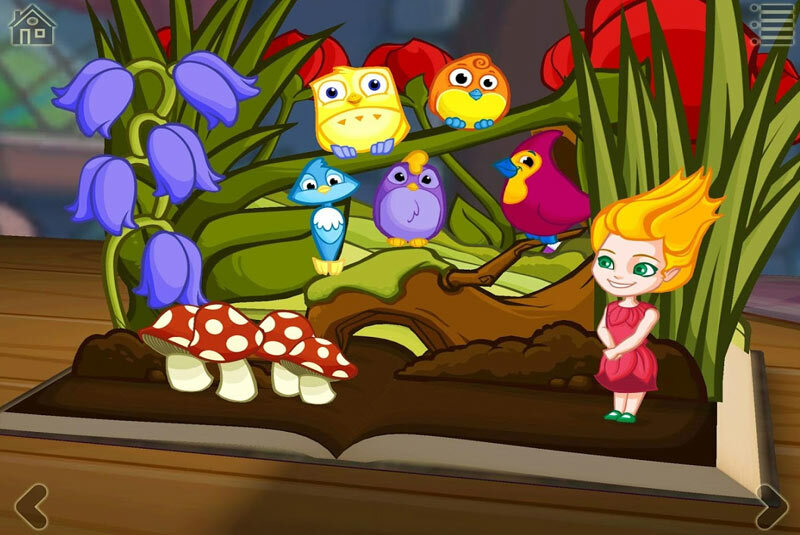 Thumbelina is available on the App Store and Google Play at a special introductory price of just $0.99 / €0.99 / £0.99. If you have any thoughts or feedback on our new Jigsaw Puzzle and 3D Sticker Book packs, we’d love to hear from you. You can contact us by emailing info@storytoys.com, posting on our Facebook page or tweeting us @StoryToys.